Slush drinks aren't just for kids any more. There's been an explosion of interest in frozen cocktails and alcoholic slush drinks among adults who want to kick back and relax with an iced slush cocktail treat. Mr Slushed is a premium cocktail syrup concentrate, made with the same attention to quality as our kids' brand, Mr Slush, but using a complicated 2 step manufacturing process which delivers more than just a cocktail flavoured slush concentrate. All you need to make premium frozen cocktails is Mr Slushed, the appropriate alcohol, some water and a premium slush machine, powerful enough to freeze alcohol. Seven great flavours: Mojito, Pina Colada, Energy Slush, Margarita, Strawberry Daiquiri, Champagne and our new addition to the range Gin and Tonic slush. Neutral Base Slush Syrup is also available should you wish to create your own cocktail flavours. Mix one part Mr Slushed syrup with one part alcohol and four parts water for delicious frozen cocktails. These ratios however may vary so contact us for more information. Fully-frozen cocktails in less than an hour. Premium ingredients and a two-stage manufacturing process for high-quality slushes. 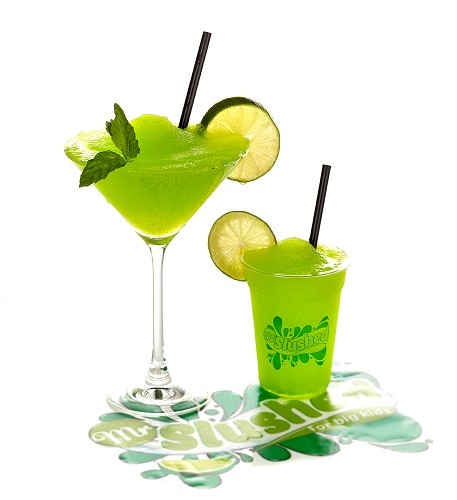 Extensive range of branding material to help you market your Mr Slushed frozen cocktails. Manufactured in the UK by a company with extensive experience and expertise. Our premium Mr Slushed cocktail syrups cost approximately 10p per cocktail, and our customers retail their finished iced cocktails at between £5 and £7.50. Add in the low labour costs and you get a very nice return on investment. 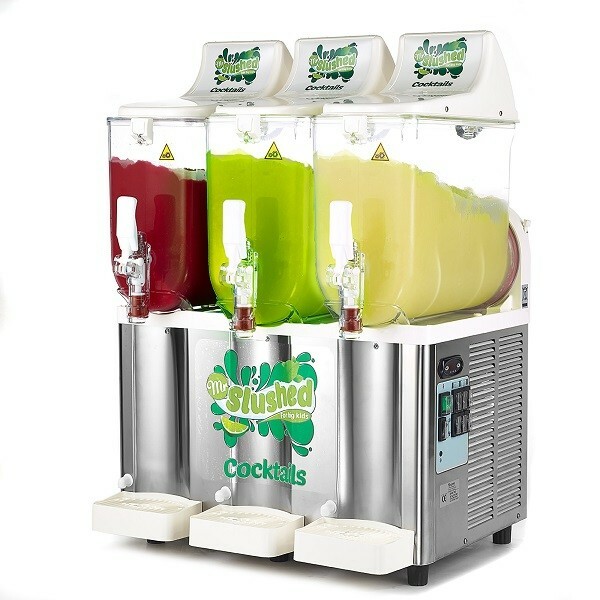 Some of our customers have reported that Mr Slushed frozen cocktails have paid for the cost of a brand-new slush machine in as little as 2 weeks, with others selling up to 600 cocktails every weekend! As with our kid's slush syrup, Mr Slush, we offer discounts on larger orders and loyalty points for on-line shopping. With Mr Slushed, you're not just getting an everyday slush syrup in a cocktail flavour. 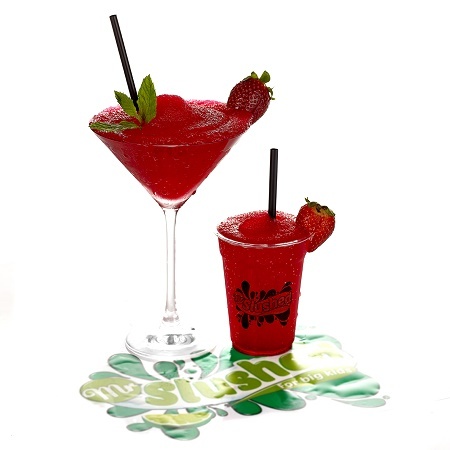 Alcohol has a huge effect on the freezing process, and we have used our experience and expertise to develop a special two-stage manufacturing process for Mr Slushed that is designed for the creation of alcoholic drinks. 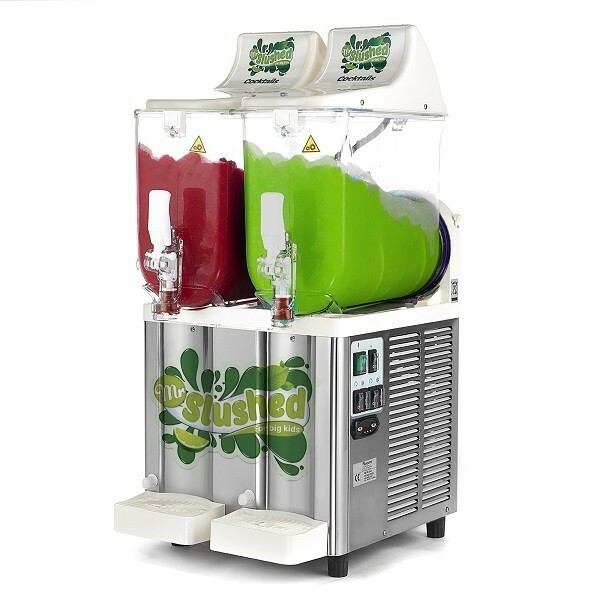 This manufacturing process means your slush machines will deliver a consistent product, without excessive wear and tear on the gears and internal machinery. With Mr Slushed, you're not giving your customers a Margarita flavoured frozen drink, you're supplying them a genuine Margarita slush cocktail. Taste Mr Slushed yourself - you'll see the difference immediately. It's this attention to quality that will get your customers coming back and recommending your frozen cocktails to their friends. We are committed to quality, use of premium ingredients and exemplary customer care. We'd love to introduce you to Mr Slushed iced cocktail syrups. Place an order on-line now, or give us a call with any questions or queries.